The WWE universe is about as diverse as its wild, larger-than-life wrestling characters. 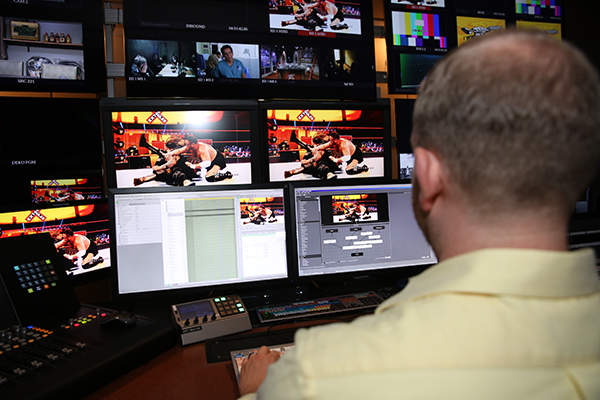 The award-winning media organization reaches 650 million homes across the globe with original programming on the WWE Network, reality shows on E!, and films that are both produced and released through WWE Films. The heart and soul of the brand remains its weekly wrestling-related TV programs, including Raw, Smackdown, Main Event, and 205Live. “We have seven staff editors, but none of us are specialists,” says Ken Berchem, Lead Editor. “We do our best to be all things to all people.” In addition to the staff editors, WWE also has over 100 producers who edit. “It is our job to teach, assist, and finalize the countless hours of work they generate and try to keep the standards as high as possible,” continues Berchem. “My talent for creating efficient workflows and best practices put me in a position to lead the way in our newly established Avid production environment.” Berchem helped the team transition to 135 Avid Media Composer stations in the summer of 2015. 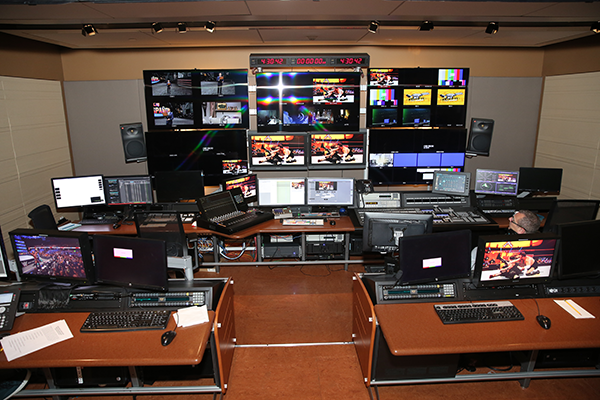 To go along with its new workflow, WWE also purchased 40 Sapphire floats and 40 Continuum licenses. Berchem and his team rely most heavily on S_Effect which launches Sapphire’s Builder because it allows them to create complex effects as a single effect on a filler layer. “Being able to layer multiple effects in the Builder environment makes things incredibly efficient for us,” says Berchem. “If shot changes are needed at the last minute, producers still have access to the original cuts and only new additions need to be rendered.” Berchem uses Sapphire’s presets to quickly see what each filter can do and for creative inspiration. Filters like Light Leaks and Lens Flare are used as is, while color treatments are often tweaked. Berchem is excited to see what’s in store for Sapphire and Continuum now that they are under one roof. His special request? “I’d love to see the ability to use some of Continuum’s filters within Sapphire Builder!” remarks Berchem.